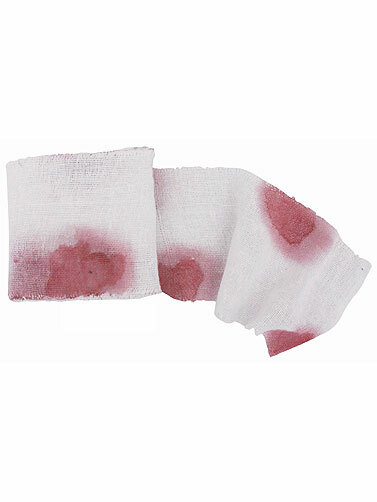 Use this bloody gauze accessory to create a gruesome fake injury for Halloween or can be used as a decoration. White gauze with the look of stained blood. Color may fade when product gets wet, so it's best to keep it dry. Bloody Gauze Accessory measures 36"L x 3.5"W.